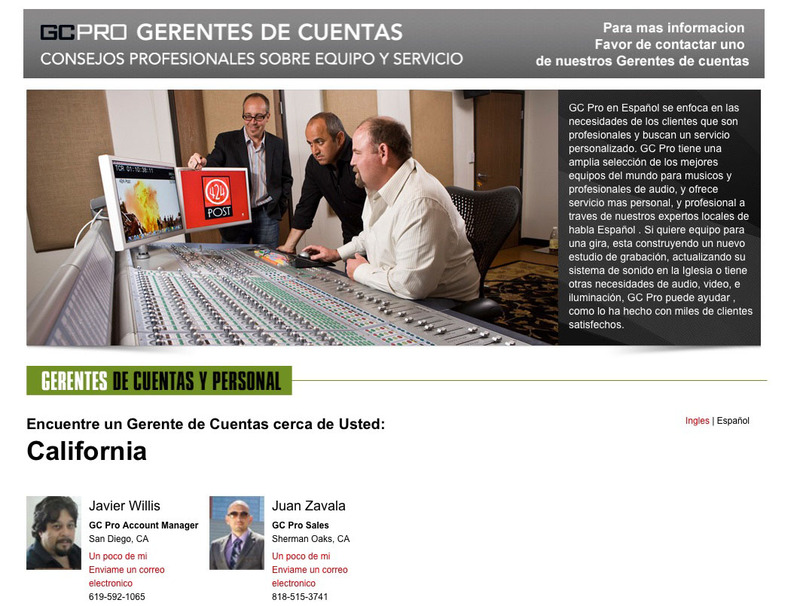 WESTLAKE VILLAGE, CA, December 4, 2014 — Guitar Center Professional (GC Pro), the outside sales division of Guitar Center that focuses on the needs of professional users, announces a new Spanish-language microsite at GCPro.com. Intended to serve the U.S.’s growing Latino audio community, the new section of the site will be updated regularly and will offer the same types of resources as its English-language counterpart: GC Pro installation profiles, account manager contact information, product spotlights and more. The microsite is accessible by clicking on “GC Pro en Español” on the right-hand side of the English-language main page.